Deferiet – Seeking to help locally, a village resident ended up halfway around the world. Staci Reyes wanted to volunteer locally with the Thousand Islands Area Habitat for Humanity but it seemed every weekend she wanted to help with construction projects they already had enough volunteers. 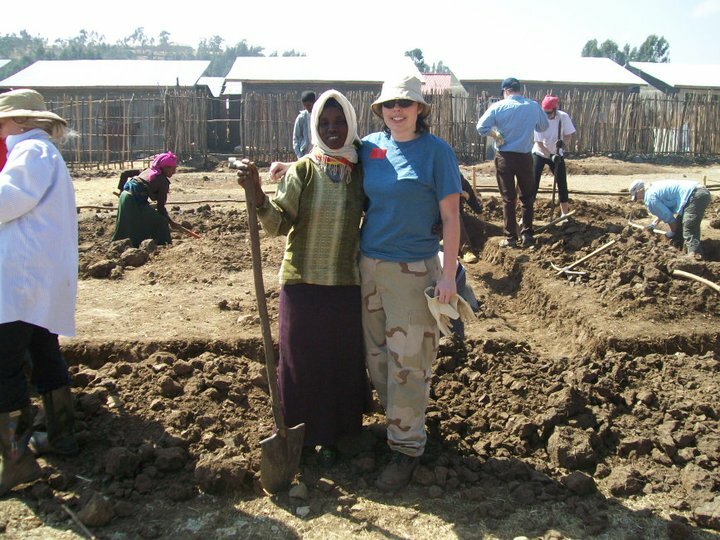 After applying, she traveled to Debre Birhan, Ethiopia, as part of the Global Village Team to build 500 homes in March 2010. She was instrumental in developing a concept to build a school, community center and community garden – The Community Project: Ethiopia. “I think we are born with this drive to make things better, to make the world a better place. I wanted to make a difference in someone’s life,” Ms. Reyes said. During her visit to Ethiopia Ms. Reyes encountered very poor conditions. “They live so simply in the village, one spigot of water for 500 homes, their homes consist of approximately 250 square feet, two-room buildings with an outhouse out back,” she said “Yet they are grateful, welcoming and would share the few possessions they own with you. While in Ethiopia, she visited families which were all struggling. She met an elderly woman who had leprosy and a single mother with three children living in a nine by six feet room. She encountered a mother who had been bedridden for eight years suffering from contracture of her limbs. Her family could not afford have her seen by a doctor. To aid in fundraising efforts, Ms. Reyes has held a bake sale and a Zumba fundraiser April 27 which raised $565.